Site 37 looking east to Carns Hill where two massive neolithic cairns crown the twin summits. Sites 42 to 45 are destroyed and cannot be identified today. 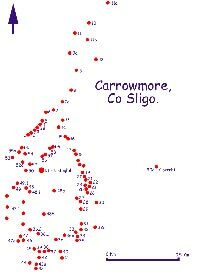 This group of circles to the south of Carrowmore were all said to have been destroyed around 1820, so the only records we have of them are Petrie's notes. He made his records in 1837, about 15 years after these circles were demolished. Modern day researchers doubt that all Petrie's destroyed sites existed, and it is possible that this area contains many erratics which were never arranged into monuments. 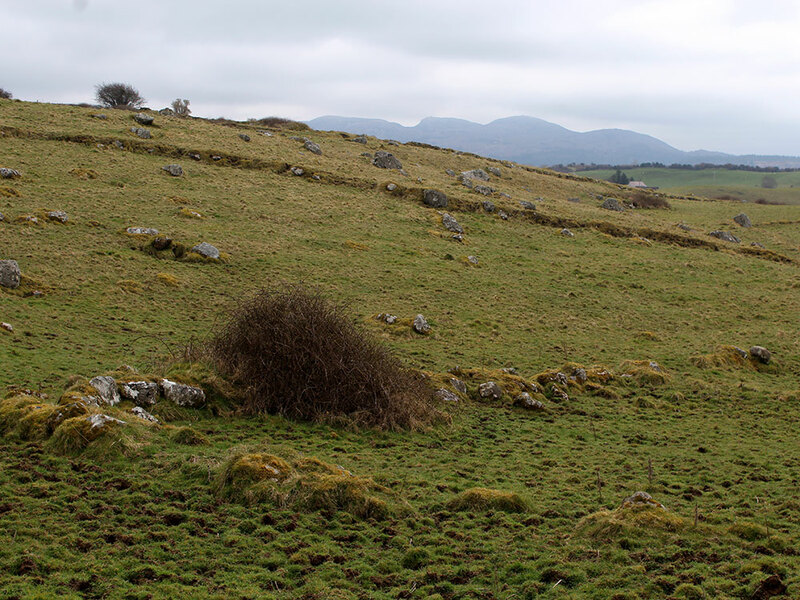 Loose erratic boulders to the south of Carrowmore. No. 42. Situated in the same field with Nos. 39 and 40 (dolmen-circle). "The remains of this circle consist of seven or eight stones. It was destroyed by Mr. Walshe." - Petrie. No. 43 (1). Situated in the field to the south of that in which 42 lies, and immediately adjacent (dolmen-circle). "The diameter of this circle is 45 feet, but the number of the stones cannot be ascertained, as many of them are covered over by the soil. There are no remains of the cromleac." - Petrie. No. 43 (2). Immediately adjacent to 43 towards the north (dolmen-circle). "There are seven or eight large stones which appear to be the remains of another circle." - Petrie. No. 44. Situated in the same field as 43 to the west of it (dolmen-circle). "Of this circle only eleven stones remain, the others have been removed to form a wall adjacent. The diameter is 72 feet." - Petrie. No. 45. Situated in the same field with 42, 43 and 44 (dolmen-circle). "The remains of this circle consist of only a few stones. It was destroyed by Mr. Walshe." - Petrie. 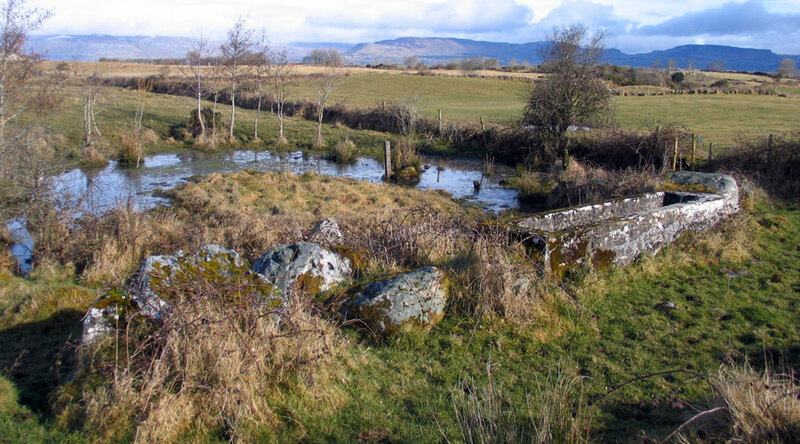 Boulders from the destroyed sites around a water hole to the south of Carrowmore.